The Environmental Industries Commission (EIC) has called for greater control over what can be landfilled ahead of the UK’s exit from the EU. While it is possible the UK may transpose the EU’s circular economy (CE) package into domestic laws, the EIC has suggested that measures such as recycling targets could be customised to suit the UK. In a briefing paper published by EIC entitled Brexit: Implications for the Waste and Resources Sector, the organisation backs some of the EU’s CE proposals but calls for a debate about the suitability of some measures. The paper recommends copying the package’s ecodesign regulations in their entirety and retaining the EU’s definition of waste “to avoid prolonged uncertainty”. But it suggests less stringent application of the waste hierarchy, with more flexibility to assess the best overall environmental option for disposing of a material. It calls for a review of separate collection requirement in the Waste Framework Directive and recommends incorporating CE approaches into the Government’s industrial strategy. 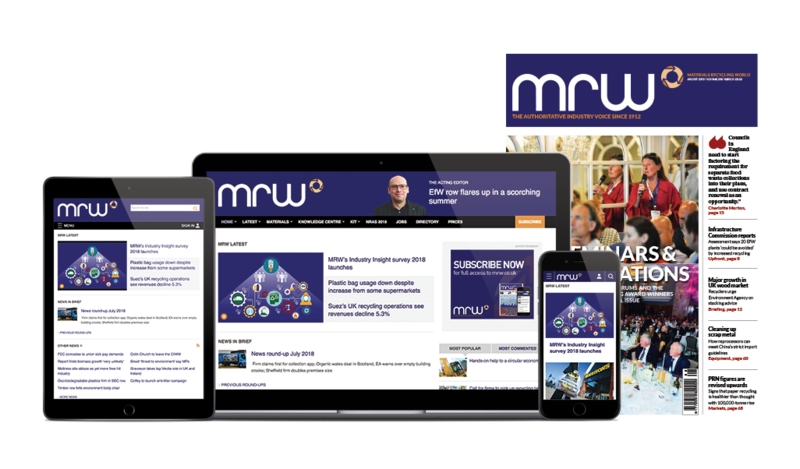 Speaking to MRW, EIC executive director Matthew Farrow said: “There is a bit of uncertainty as to whether [the package] will be transposed when we leave or not, depending on how long [its passage into EU law] takes. “It might have just been transposed but ministers will have the ability to make changes if they wanted to. “The vast majority of waste legislation that we have already or any ecodesign stuff that comes out of the CE package we should retain untouched to give stability. He said European institutions currently faced the challenge of trying to pick targets that were both relevant to high-performing countries such as Germany and others including Cyprus. While the waste hierarchy should remain, he added, there may be materials such as asbestos where landfilling would be preferable.